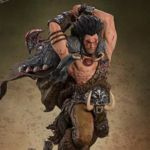 Pop Culture Shock Collectibles has posted up the product pages for their upcoming 2000 A.D. – Slaine 1/4 Scale Statue. The statue stands at 28.5″ tall atop an impressive battlefield base. They will be offering a standard and an exclusive version. Both versions include Slaine wielding his axe; Brainbiter. The exclusive version includes a swap out Excalibur sword. These are extremely limited edition statues. Only 200 of the standard version will get released, while just 100 exclusive editions are being produced. Pre-orders go live on Monday, June 11th at 3:00 PM Pacific Time. Each version is priced at $799.99 with a release set for some time between July 2019 and September 2019. Check out some additional info and the new photos after the jump. You can see the photos by reading ob. We will have updates on each statue as new photos and details are released. 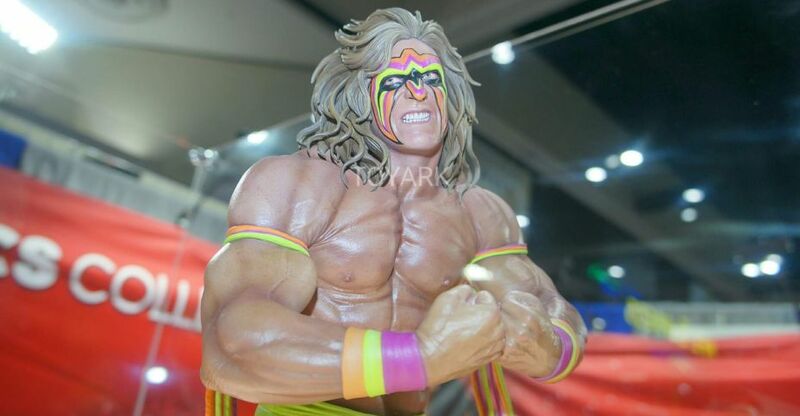 In this weeks Pop Culture Shock newsletter, they revealed a new statue preview. 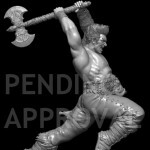 The sneak peek offers a look at the in-progress digital sculpt for a 2000 A.D. Sláine 1/4 Scale Statue. The statue is based on the title character of the Sláine comic, who is a barbarian-style Celtic warrior. The statue shows him wielding his trademark weapon, which is an axe called “Brainbiter“. The design is still pending licensor approval, so the details could change before being finalized. You can check it out after the jump.